This is actually two different tutorials that would make great Mother's Day gifts to yourself or another very special mother in your life. Measure your photo trays so you know what size of image you need. 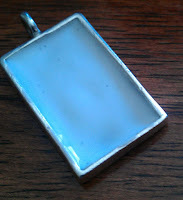 The trays I bought were 1 inch square, 1 1/4 inch x 3/4 inch rectangle and 1/2 inch square. You will probably want to re-size and crop the image you are using. I scanned in images of ultrasound photo's of Alexander and my current womb resident, cropped them, re-sized them, and added their names. cut the image to fit the photo tray. You may consider photos of your children or graphics that were made for your children if you don't have ultrasound photos. Any image will work. You are going to want to carefully trim the image so it fits perfectly inside the photo trays. It may take a bit. 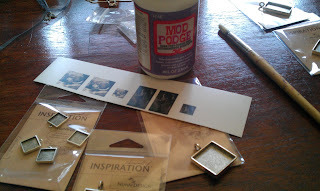 Using a small brush, paint a thin layer of modge podge inside the photo tray and press down your image onto it. Then use your brush to completely fill in the photo tray with modge podge. This will cover the image but don't worry Modge Podge dries clear. This will seal the photo and protect it. Allow the photo pendant to dry someplace where it won't get bumped for about 24 hours. 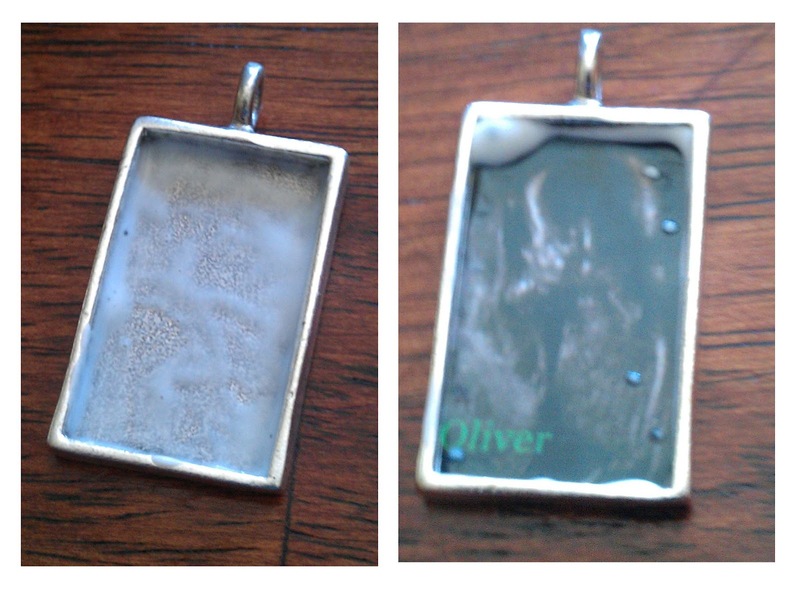 Attach your pendant to a chain or bracelet, add beads and you are done. 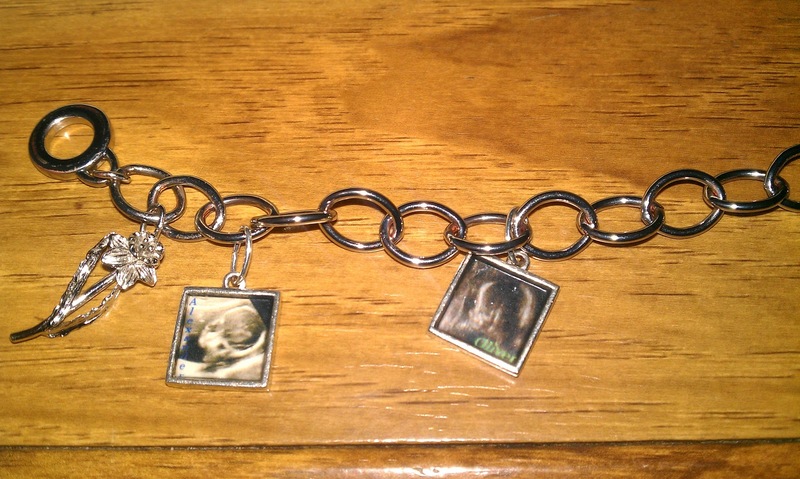 My photo charms added to my charm bracelet, one for each baby. 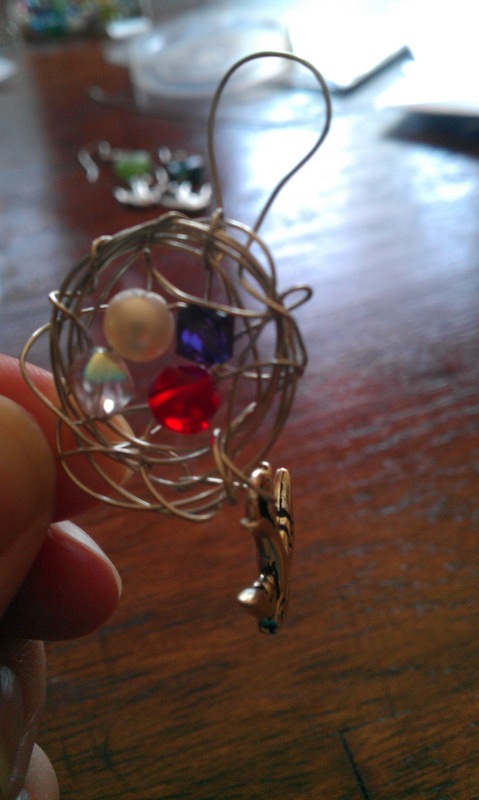 you can use the wire for this project as neatly or sloppy as you like for this project. I personally like sloppy nests as they look more natural. cut a length of wire about 20 inches long (just eyeball it, it doesn't really matter too much). 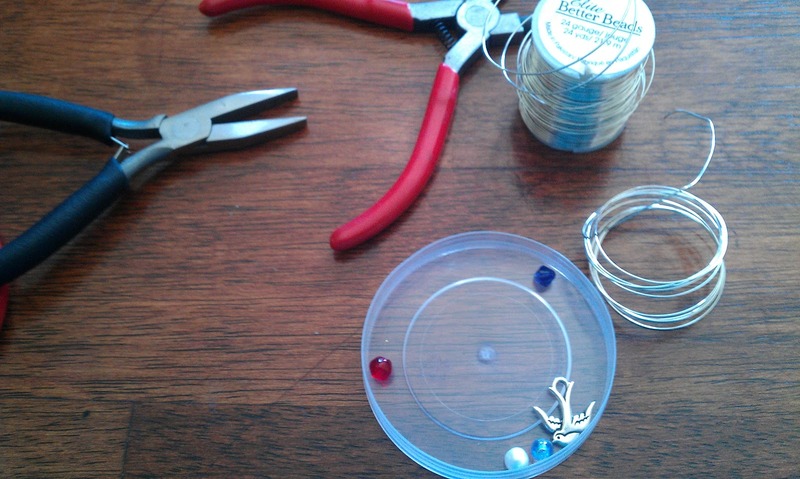 String the beads onto the wire. I was making this one for my mom so I used 4 beads, one for each of my 3 brothers and myself, in the colors of our birthstones. 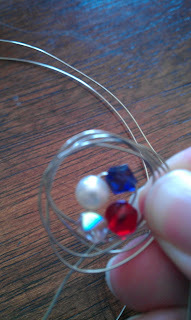 Slide the beads into the middle of the wire and bend the wire so the beads form a little loop. 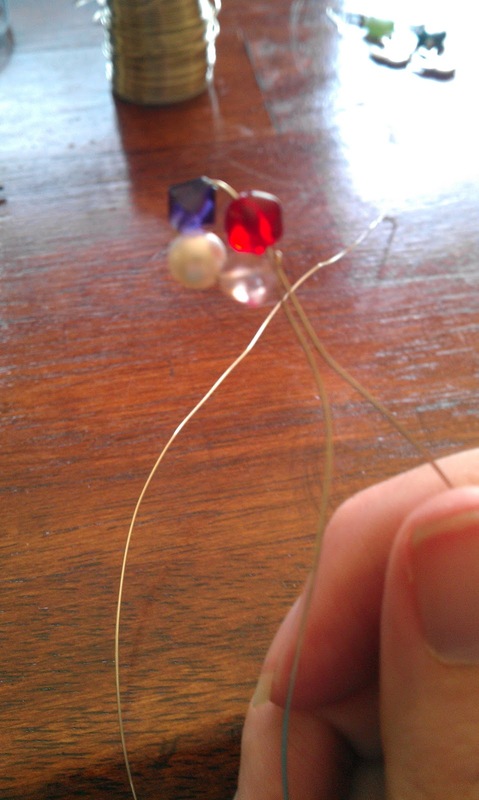 you should have 2 wires coming from the beads that are about the same length now. 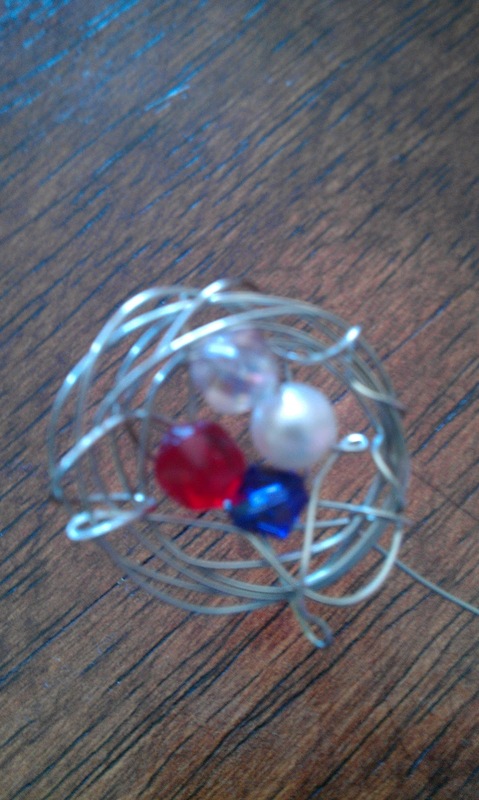 Wrap one wire around the beads in a circle several times and secure it by twisting the end tightly around this wire circle. 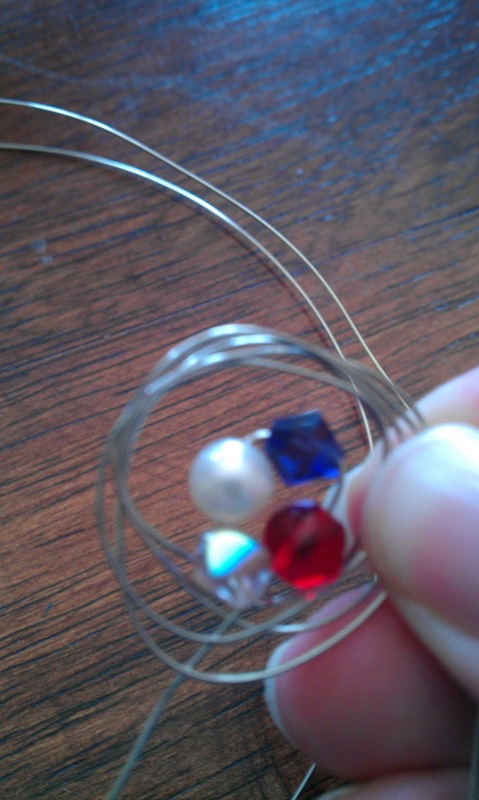 Make a large loop with the second wire and secure it by tightly wrapping it around the wire circle. 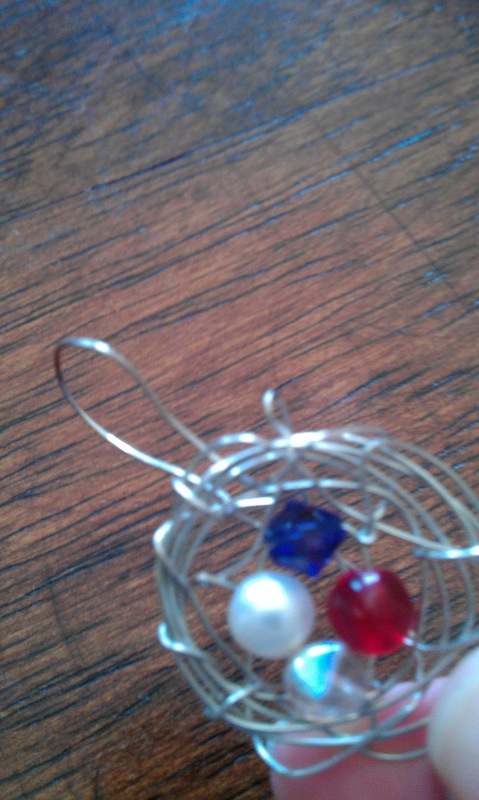 This is the loop at the top so you can put your finished nest on a necklace. Start wrapping the wire back and forth across the back looping it tightly around the wire circle to secure it at each side. After you have used about 1/2 of your wire attach your bird by threading the wire through it and securing it to the side of the nest. Continue filling out the back of your nest by wrapping the wire back and forth across the back and looping it around the sides. 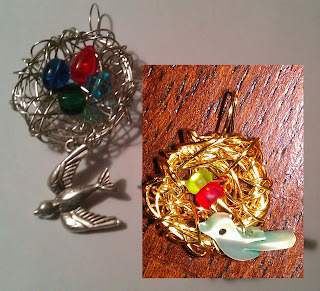 If you run out if wire but would like a fuller nest attach another wire by twisting it tightly around the side of your nest and continue filling out the back of your nest. 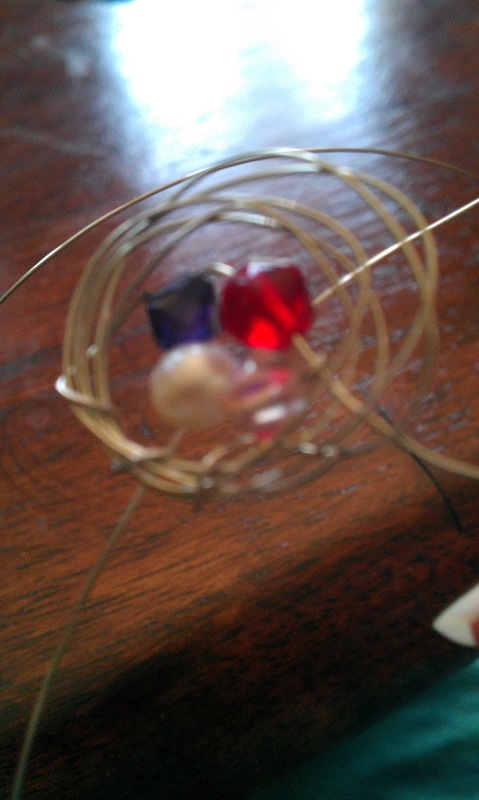 Finish your nest by securing all sharp wire ends by tightly twisting them inside your nest. SO sweet,I love it! Thanks for the tutorial! So glad I could help you with your nest predicament.